The Monastery of Philotheou celebrates on the 25 th of March the Annunciation of the Virgin Mary. 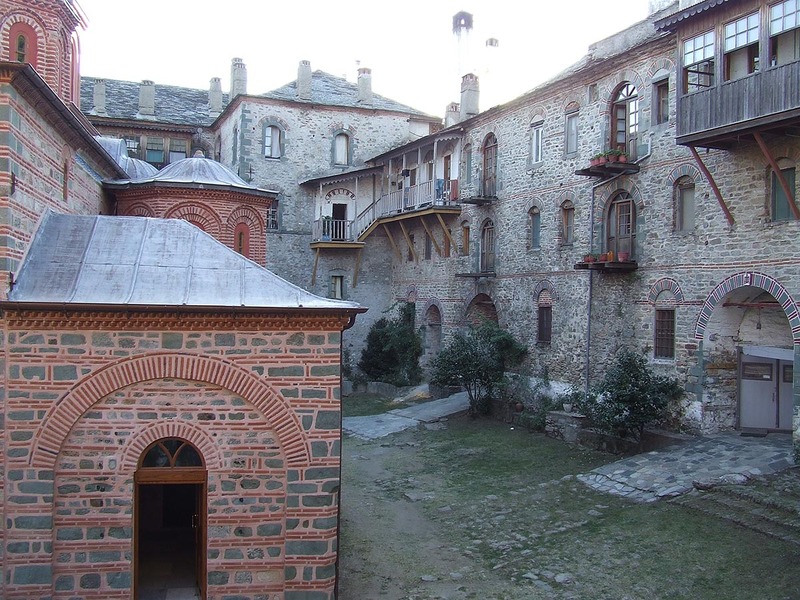 It was founded in the 10th century, however it was established by three monks, contemporary to Athanassios Athonitis, Arsenios, Dionysios and, Philotheos from whom the Monastery took its name. 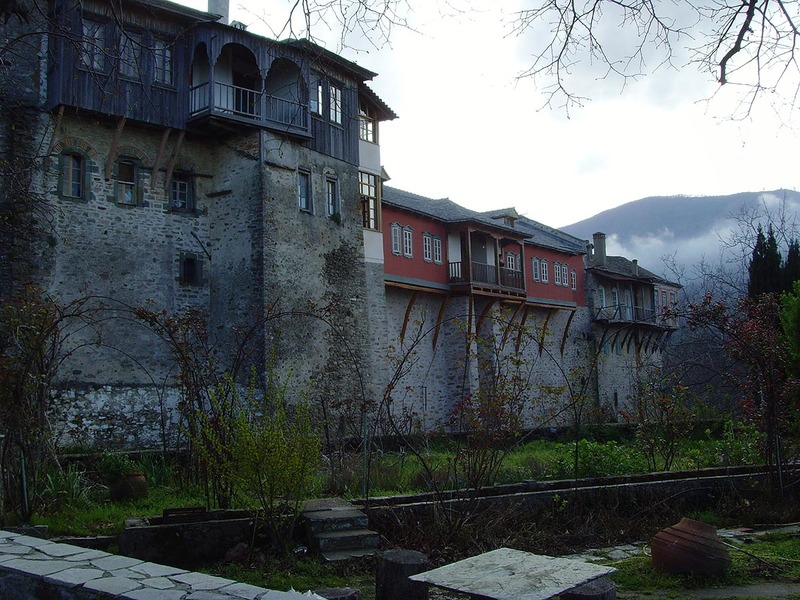 The Monastery of Philotheou is located half an hour from the Monastery Karakallou in an altitude of 300-330 meters. According to historical sources the Head Supervisor Nikiforos in 1015 also mentions the name Georgios abbot of Philotheou. The second Document of Mount Athos, in 1046, also mentions Loukas, abbot of Philotheou, the 12th in the hierarchy until today. 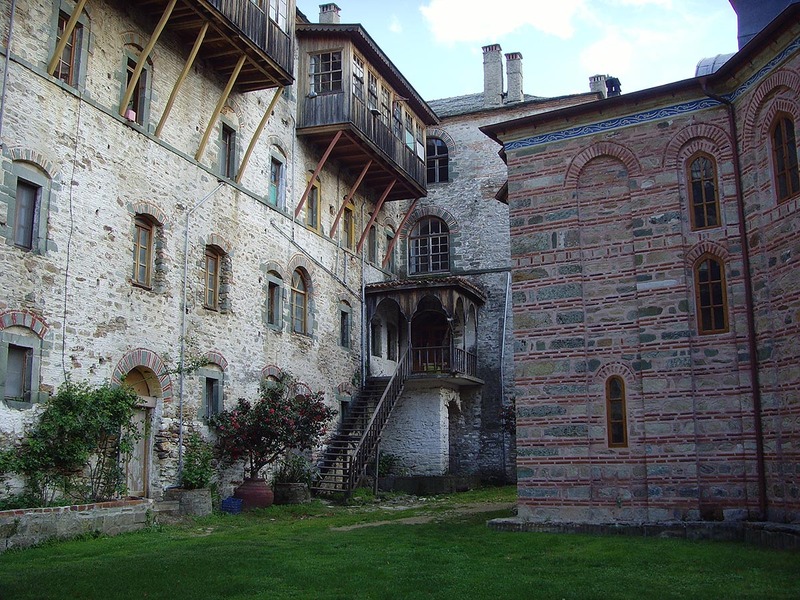 Benefactors of the Monastery are considered Nikiforos III Vitaniatis who is also honored as the second founder, who apart from financial resources also offered several sacred relics of saints and martyrs. 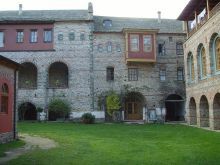 The emperors Andronikos II Paleologos, Andronikos III Paleologos and Ioannis V Paleologos offered money for the maintenance of the Monastery. 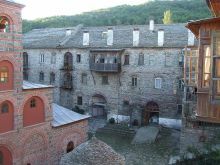 After the emperors economic support was also given by Romanians sovereigns. 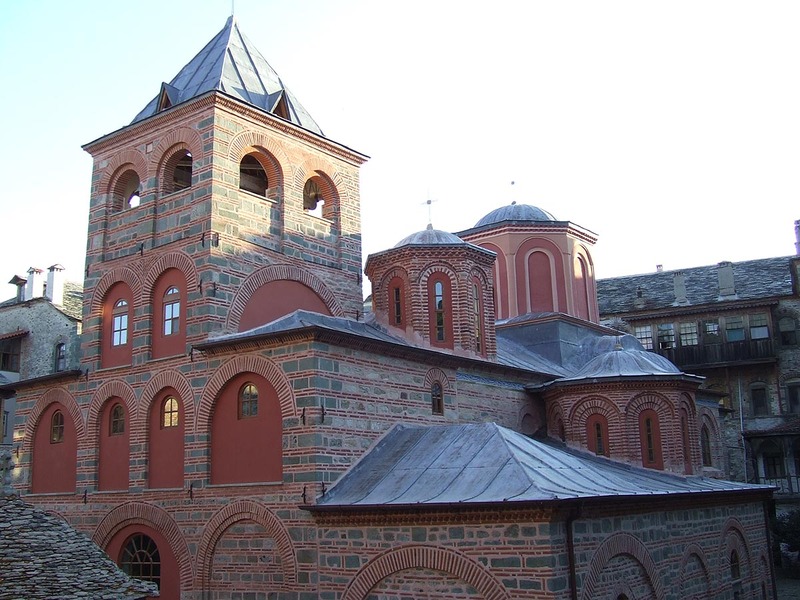 A document of 1483 is signed by the abbot in Slavic and this shows us that at the Monastery there were also Slavs. At that time the Serbian king Stefan Dusan sent large sums of money. 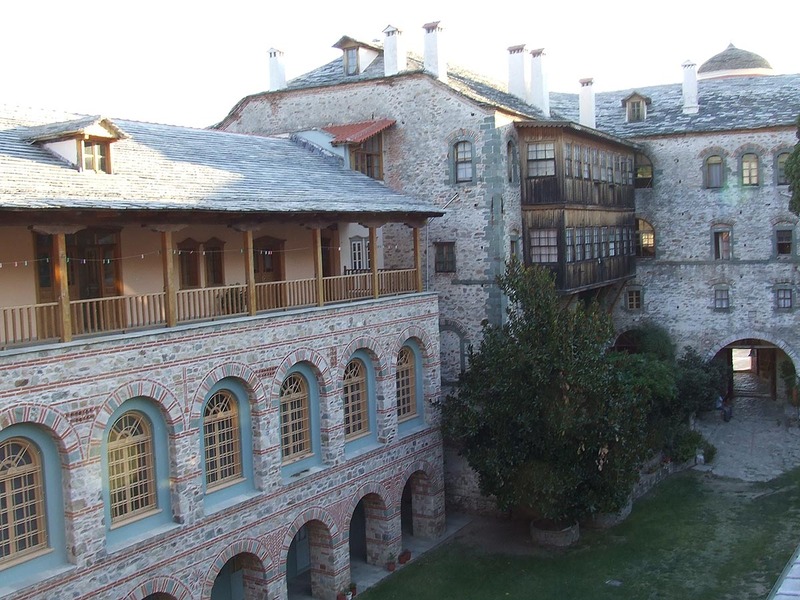 In 1492 it is indicated that the Monastery was renovated by the sovereigns of Iberia Leontios and Alexandros. 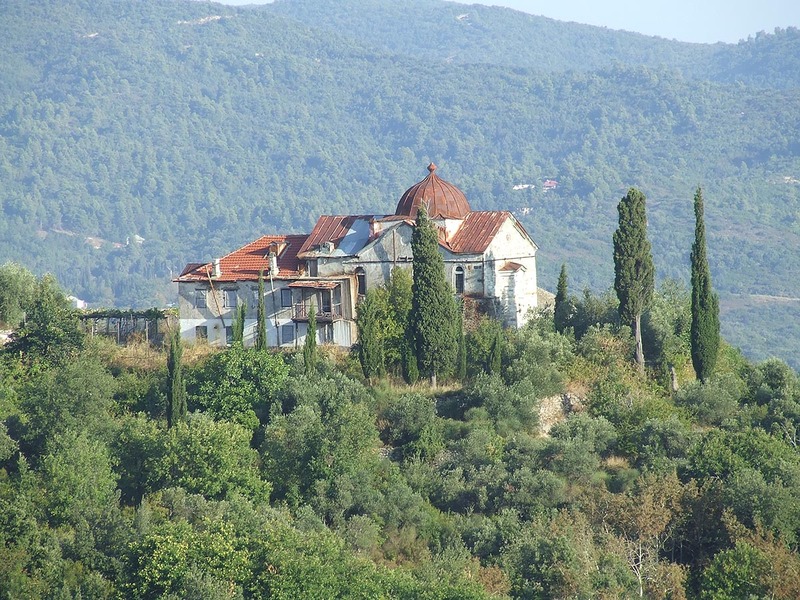 In 1537 Philotheou sold the bishop Grigorios Geromerios to the deserted then Monastery of Stavronikita. In 1871 almost the entire complex was burnt apart from the Katholikon and the library but its reconstruction was gradually completed. The Katholikon was built in 1746 in place of the oldest temple and it was painted in 1752 while in 1765 the esonarthex and exonarthex were painted. The marble floor and iconostasis were completed in 1853 and 1848 respectively. The belfry is integrated in the Katholikon bears the date 1746. The murals of the Prothesis are attributed to the Cretan School. The Stoup in front of the cathedral is made of carved white marble. 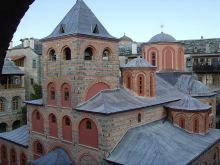 The construction of all these buildings is attributed to the large sums of money offered by the sovereigns of Romania Constantinos Mavrokordatos and Grigorios Ginas. 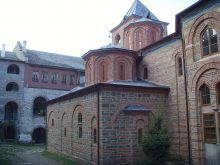 Inside of the Monastery there are 6 chapels. 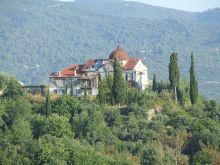 Outside the walls there are 3 chapels, at the cemetery, the orchards and at a Seat. Also it owns 12 cells 2 of which are at Κaryes. 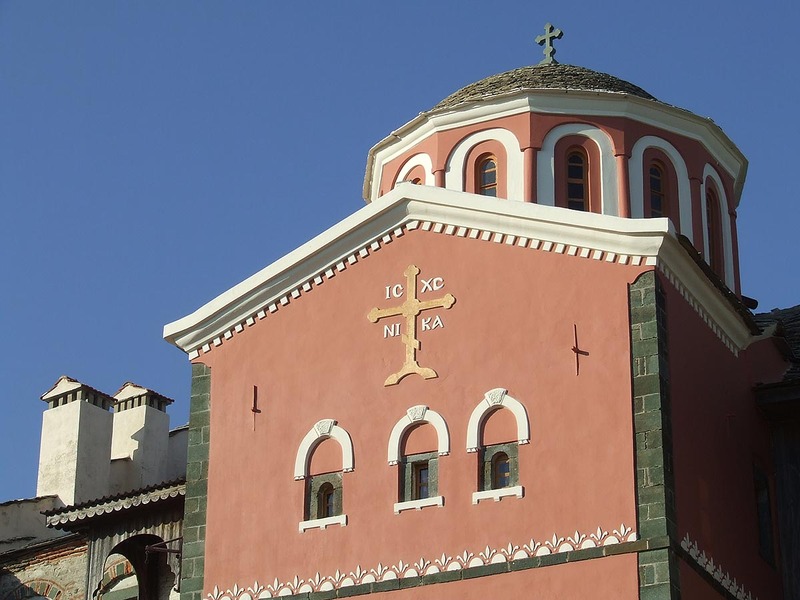 In the sacristy there is a piece of the Holy Wood, gift of the Emperor Nikiforos III Votaniatis. Also there are several relics, crosses, canonicals, functional utensils but mainly portable pictures from which the most valuable is considered to be the miraculous picture of the Virgin Mary the "Glykofilousa". The Monastery also keeps another important picture of Virgin Mary the "Gerontissa". 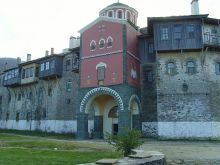 Guests should visit the Katholikon with its murals (1752) and the "protecting picture" of Panagia Glykofilousa, the Prothesis with the various frescoes and also the rich historic library of the Monastery.